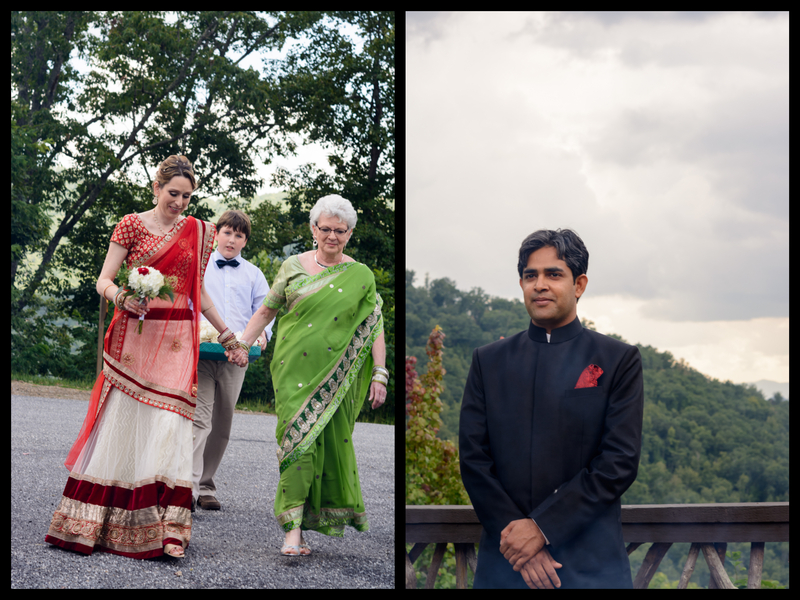 Jennifer & Nishant’s Franklin Wildflower Cabins Indo-American culture inspired religious wedding marked my first destination wedding in the beautiful foothills of Smoky Mountains in Franklin, North Carolina. Wildflower Cabin community has an observation deck and clubhouse. 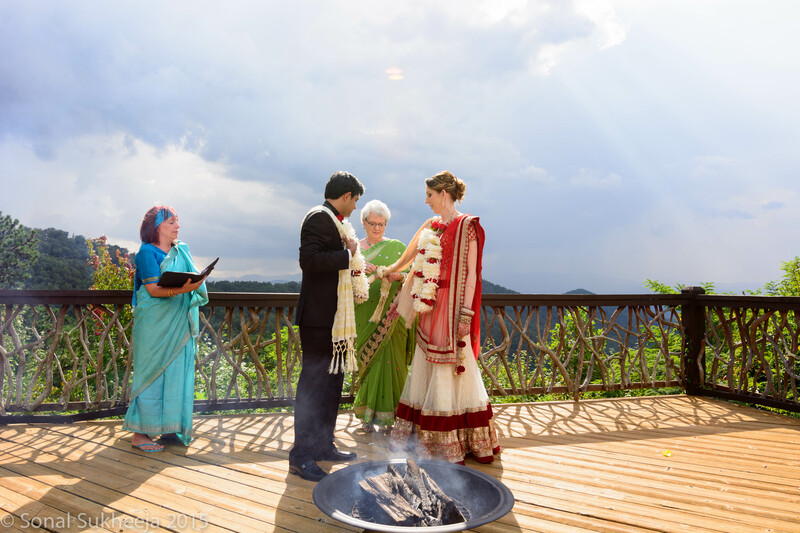 Jennifer and Nishant chose the observation deck overlooking the mountains as their ceremony location and the beautiful clubhouse for hosting the reception. We started our day at the clubhouse making images of the simple yet stunning decor done by groom himself, moving to the Jennifer and Nishant’s cabin documenting them getting ready in their rooms. 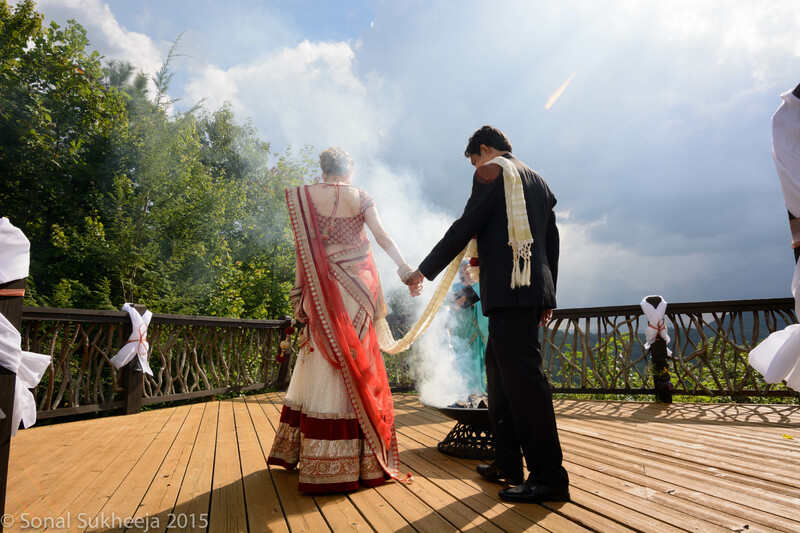 Immediately after capturing the getting ready moments, we made our way to the observation deck for the Indian style Jain Wedding Ceremony. We spent about an hour after the ceremony in the nearby woods and observation deck itself for the newly wed couple portraits. 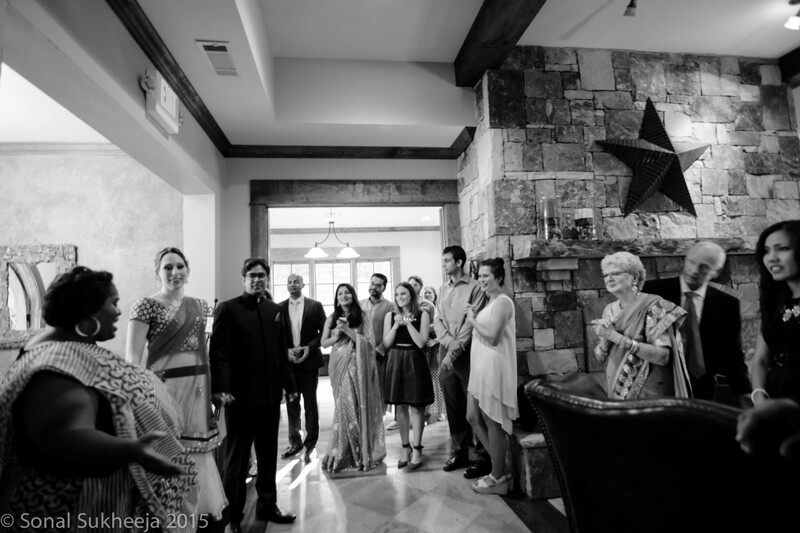 Jennifer and Nishant were joyfully received by their family & friends waiting at the clubhouse for the reception with a background music played by a bagpiper. 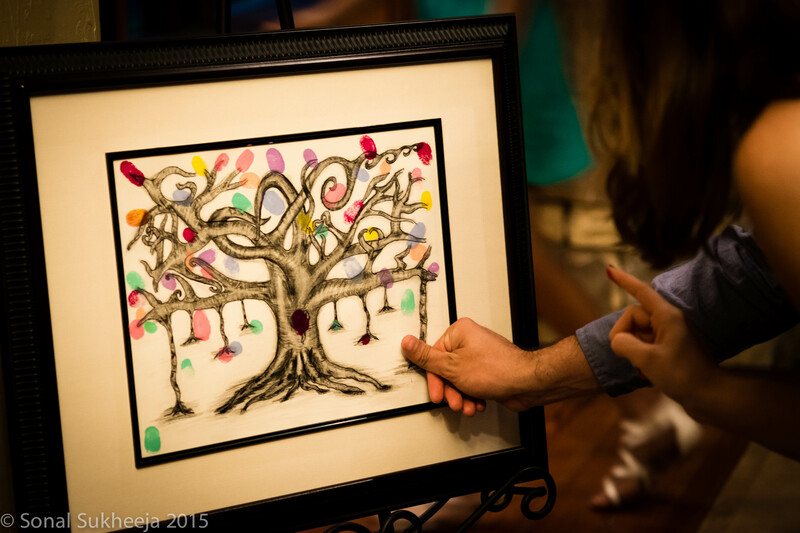 To add a personal touch to their wedding, Nishant made a drawing of a huge tree with lots of branches, requesting the guests at the wedding to leave their thumbprints as a remembrance for their wedding. 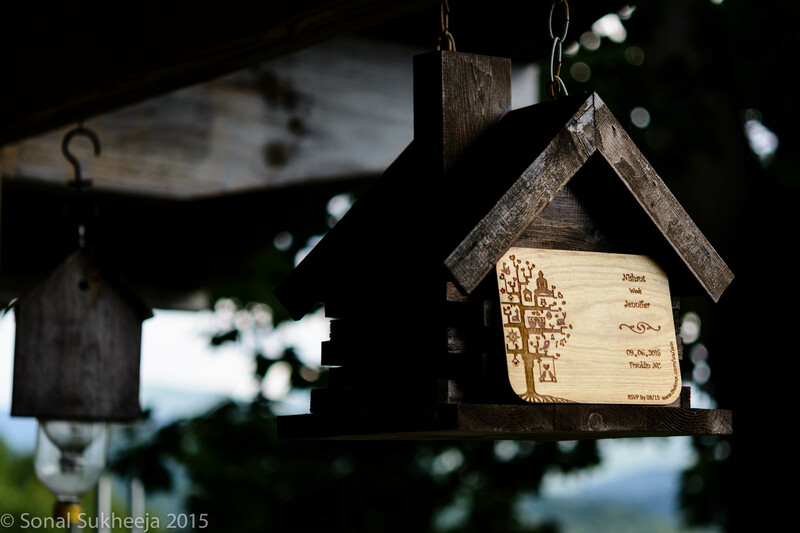 The customized wooden wedding card was printed on laser cutter, by Nishant himself. 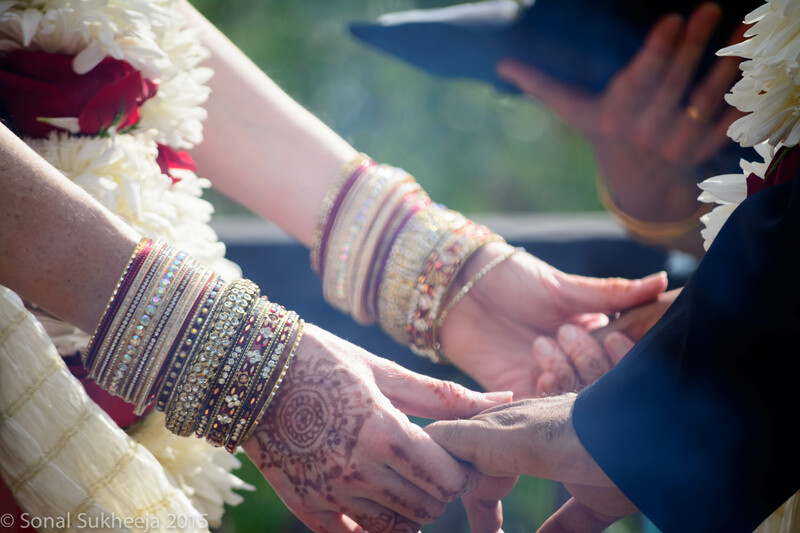 The varmala’s – eternal part of any Indian wedding. 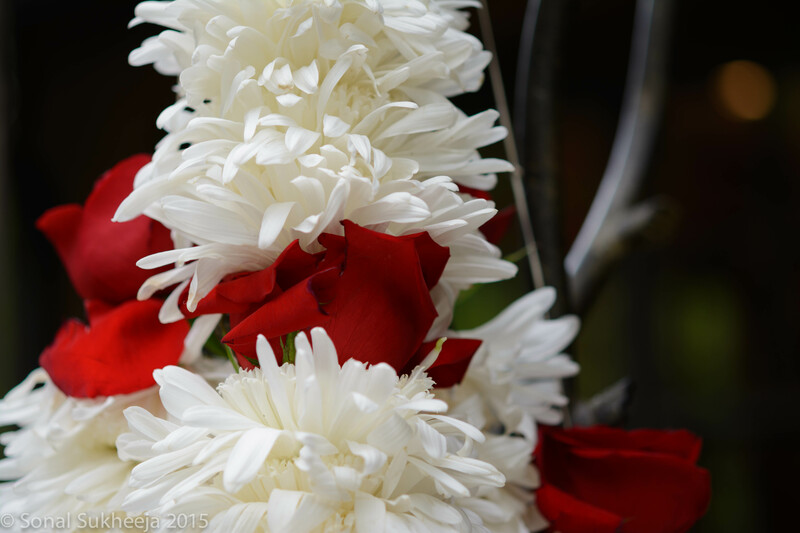 These elegant white and red flowers varmala was made by Jennifer & Nishant’s close friend, Sweta. 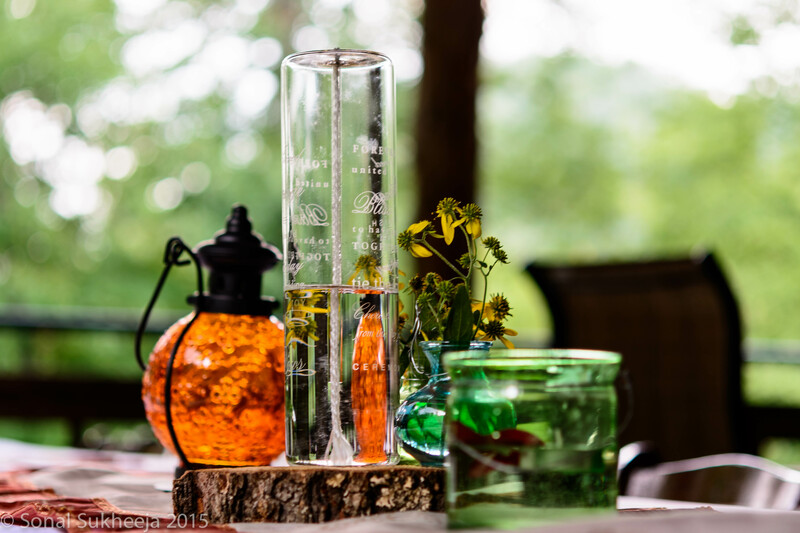 The weather, the light and the place, everything was just perfect at the Wildflower Cabins to make Jennifer & Nishant’s destination wedding a beautiful memory for all the guests visiting from various part of US. 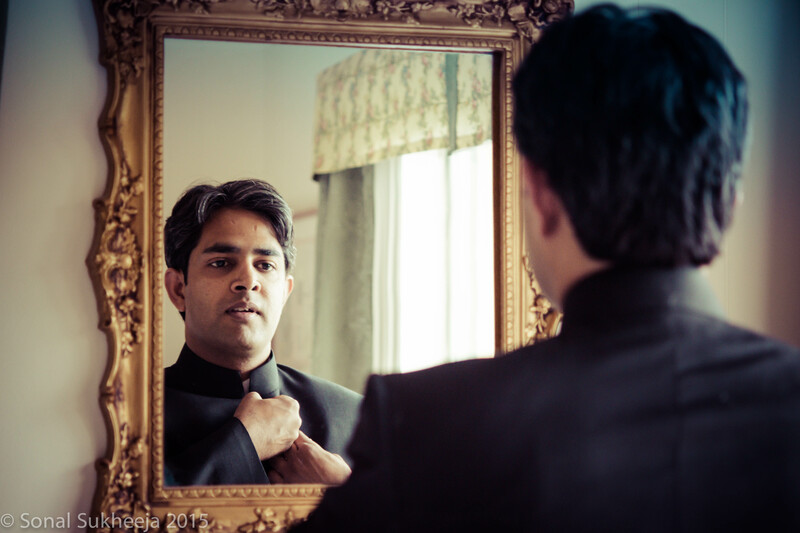 Plethora of thoughts filling up his mind and pumping up the heart rate while he suits up for the ceremony to meet the love of his life as his bride. Jennifer made a beautiful Indian bride. 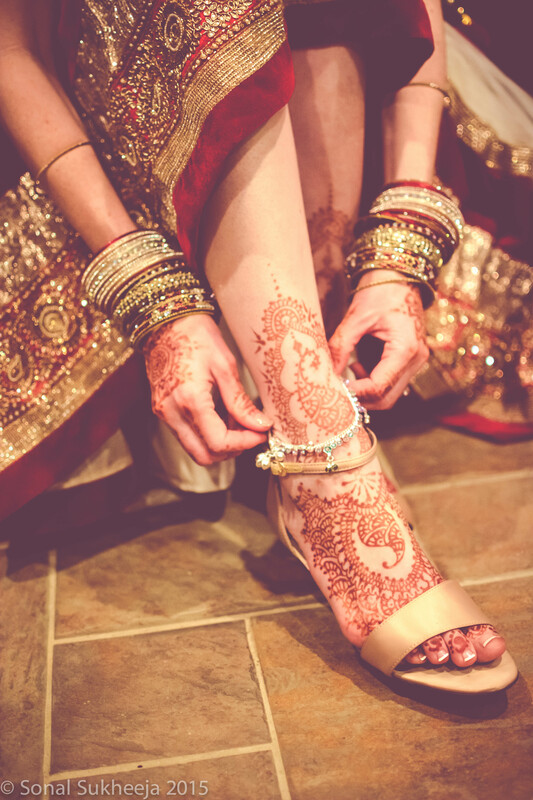 She embraced the Indian culture very gracefully with her wedding attire, jewelry and heena designs on her palms and feet. 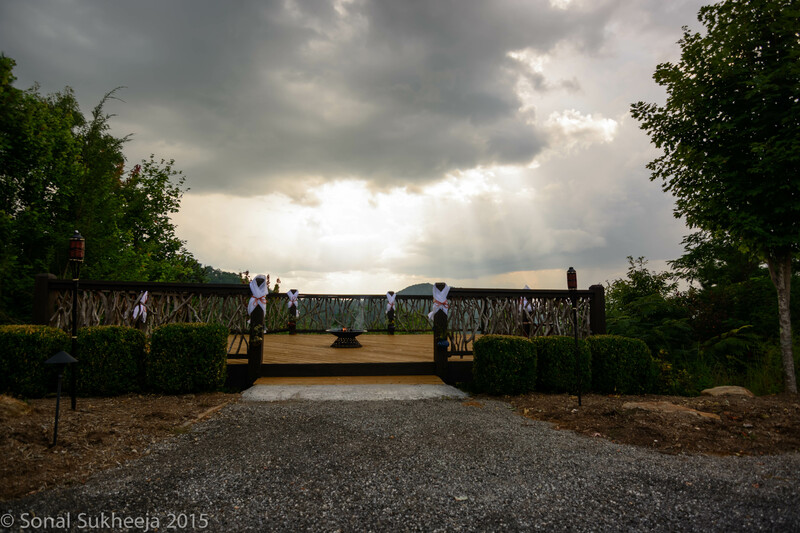 The spectacular location for wedding ceremony, overlooking the mountains from the observation deck with dramatic views of the Sun and the clouds. The first look, the facial expressions, the blushing, the excitement, the happiness to finally get married to the love of your life. The sun shown upon Jennifer & Nishant, the moment when Jennifer’s mom tied the knots for the religious ceremony to begin. Pronounced as Husband and Wife for life! 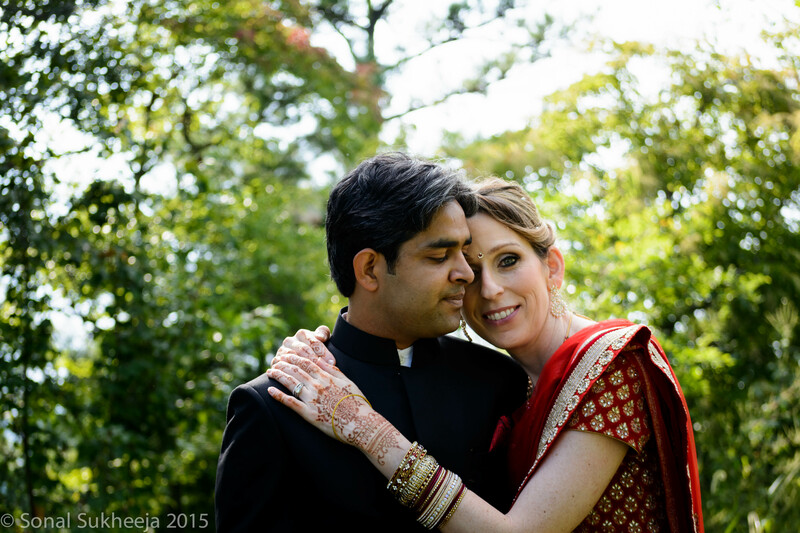 After the ceremony we did a mini portrait session of Jennifer & Nishant into the woods as husband and wife. 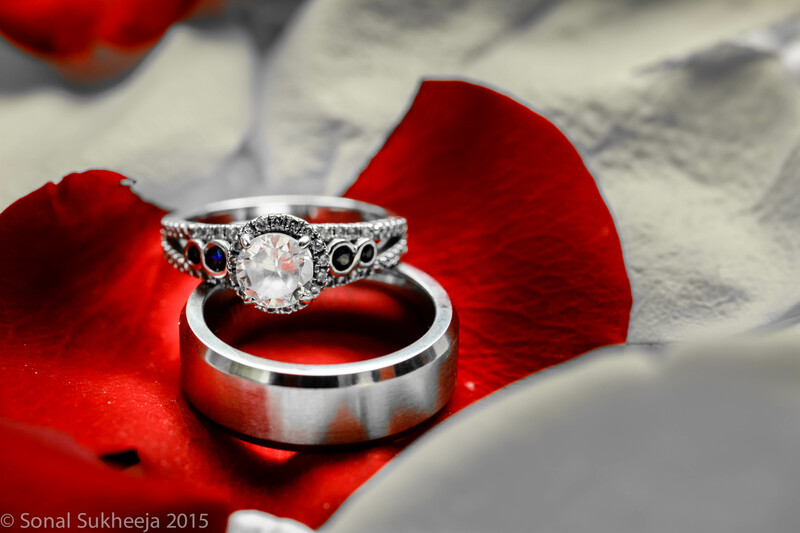 Shoulder to shoulder – relaxing and sinking in the feeling of finally getting married. 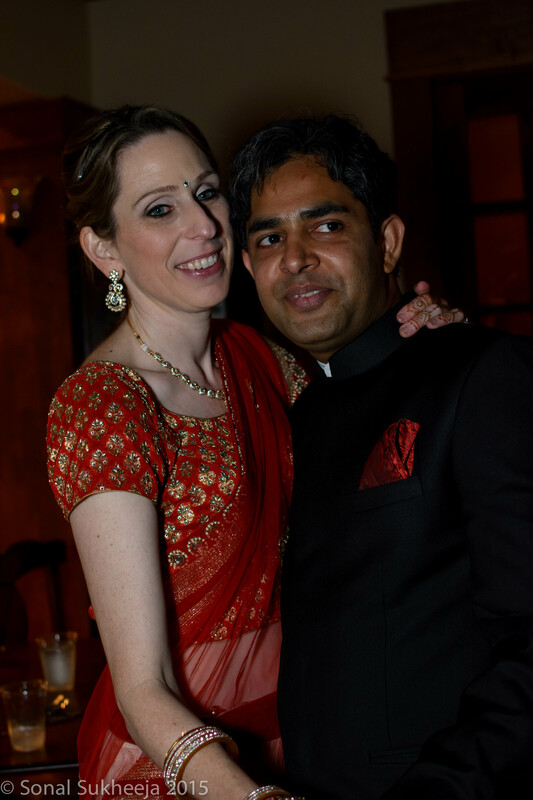 Jennifer and Nishant. 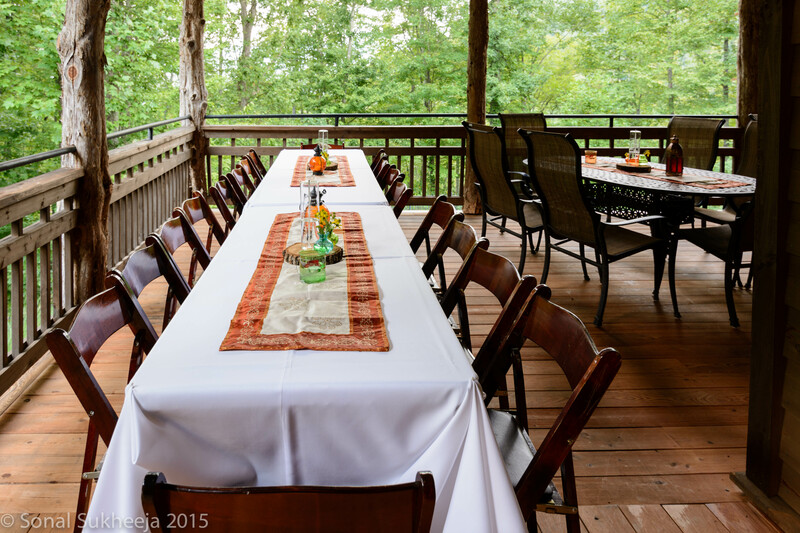 THANK YOU for allowing me to document your beautiful Franklin Wildflower Cabins wedding. It was really really fun! I hope to see you around soon.